If you run a business, no matter how small or big you will come across customer complaints. Handling these complaints is tough and requires skill. Customer complaints don’t necessarily mean that you are running your business poorly. Many businesses don’t invest much into complaint handling as they feel it’s a time consuming process. This is where the problem is, if you don’t take customer complaints seriously then time will come where you will have to shut down your business, as they say customer is the KING. Business owners and staff should be given proper training in complaint management for a long and fruitful relationship with the customers. Here are 10 tips for customer handling. When you receive a complaint from a customer, keep in mind that the issue isn’t personal. Customer is attacking the company and not you. Make your point but in a cool and calm manner. If a customer is irate and is shouting at you, it is quite natural for you to defend and rectify the customer. However, this will make the customer more irate and worsen the current situation. As the customer speaks, listen to them and do not interrupt. With this the customer will realize that you are not reacting and he will calm himself down. Let your customer know that you are thankful for sharing their complaints with you. Make them feel that their comments are helpful for your business to improve and flourish. Let the customer realize that you understood their problem. If mistake is from your end, admit it. Acknowledge the mistake and make sure that you heard what they said and then move ahead. Once you heard and understand customer’s complaint, offer a solution. Don’t promise anything which you cannot fulfill because you might calm him down for now but will worsen the situation in future. Solution can be of any type. If you really understood the problem then you will definitely come up with an effective solution. If you do not have any quick resolution to make to your customer satisfied, then you can consider what else you can offer them. You can offer customer some gift card or ask them straightaway what will make him/her happy. After you offer the customer some support, make sure they understood what you said and make sure you do this in a non-aggressive way. After everything has been discussed ask them if they have understood what you said. After you have offered your solution and emphasized with you customer, consider how else you can support other customers who complain. 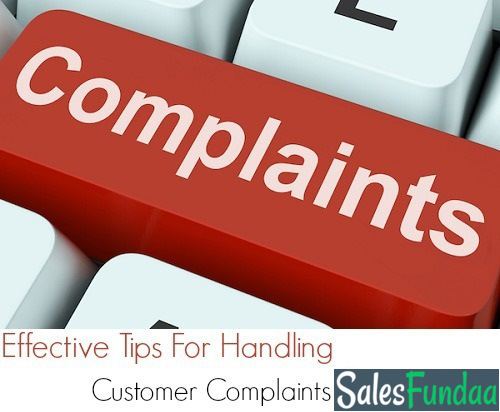 You need to assign the complaint to someone to follow up once in 24 to 48 hours after registering of the complaint. This makes the customer understand that you are concerned about complaint. Once you receive a complaint make sure you make a record of it. From time to time you can assess these complaints and make sure that such complaints do not come in future. Staffs who deal with customers directly should be trained on customer complaint management. Conducting regular workshops on hospitality training is essential for business growth. Although it is unavoidable to prevent bad customer experiences, handling them effectively can save your business from negative publicity.